“I am delighted with your creation which has been very much admired, but you have the talent! 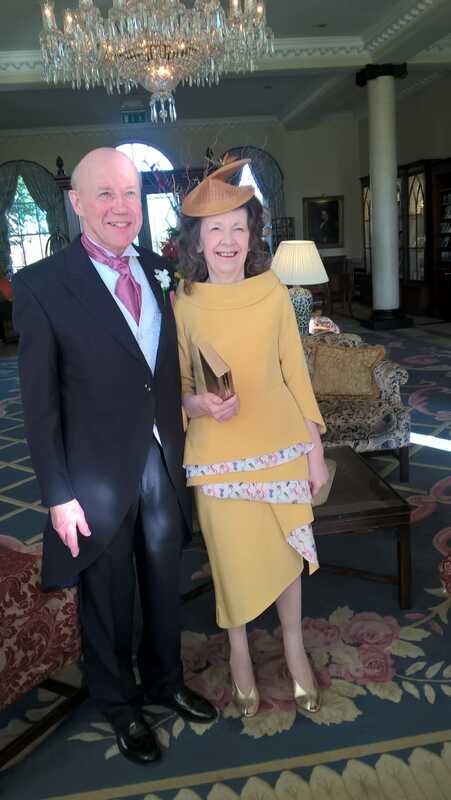 My dress was much admired by all of the family as well as several American tourists staying at the K Club. 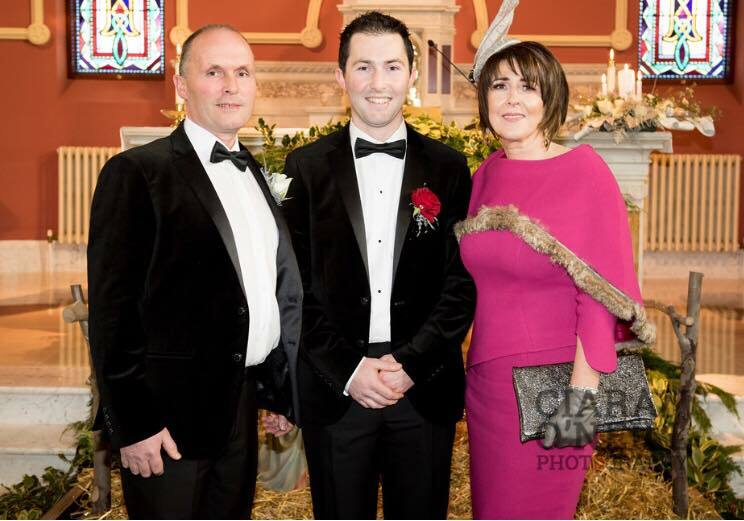 “I want to thank you Maire for the fabulous Mother of the Bride outfit that you designed for me. I felt like a million dollars wearing it at the wedding. All our guests admired it….and I was only too willing to tell them who and where they could find you. The deep blue silk full length evening dress was designed and tailored to suit her figure and individual taste. According to Deirdre McQuillian of the Irish Times. “Maire’s style, underpinned by creative pattern cutting, skillful sculpting and artful use of jeweling has an identity all of its own. She describes it as “clean, chic and contemporary” Making any size look good! 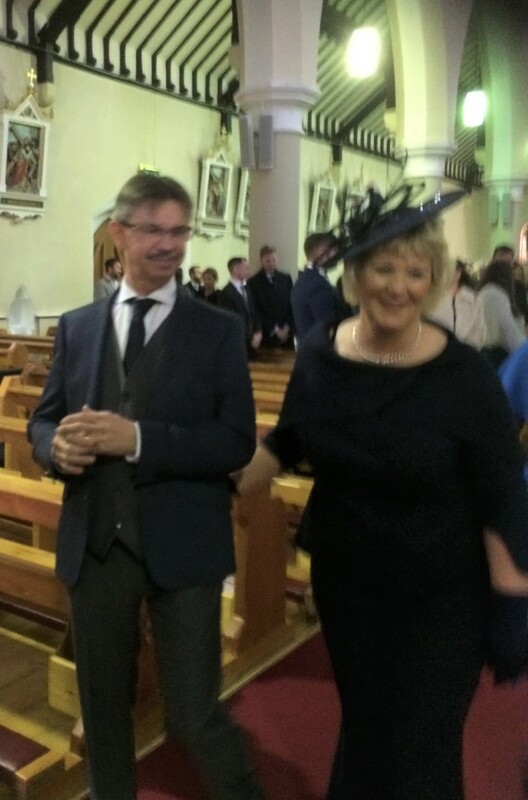 I want to say go raibh míle maith agat to Maire for the beautiful outfit she created for me for my son’s wedding. 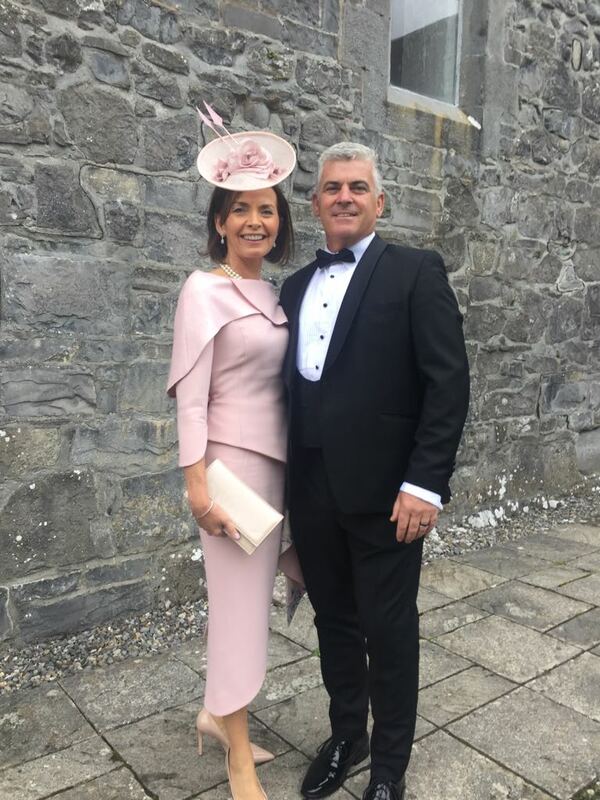 I was very impressed with the professionalism of her service, I attended only twice, as Máire stated at the outset, first to measure and design the second visit to try on, finish and take home . I was delighted with my garments and all her advice . 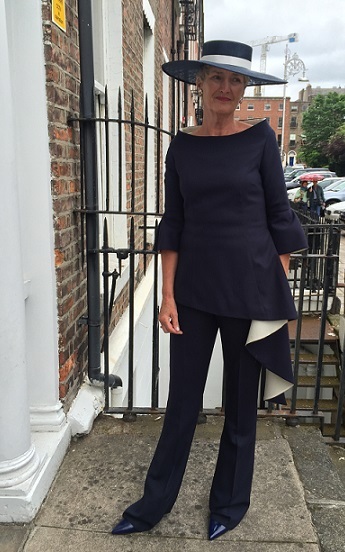 Ann loved the deep royal blue two piece which was tailor made to fit her silhouette. She said she felt both very confident and self assured wearing it. “Getting married in New York was perfect! There were only going to be four of us at the day. But I still wanted my dress to be special without being the typical frothy. At 51 years of age I had to get it right! I had seen Maire’s Facebook page just by chance, and I was immediately drawn to her classic designs. We arranged a consultation and everything just fell into place perfectly from that point on. Maire listened carefully to my brief. She took my body shape (and all my hang ups about it! ), into consideration. She worked with me to produce precisely the dress I had in my mind’s eye. Maire never attempted to ‘push’ ideas on to me and she quickly knew what would work for me and what wouldn’t. The whole experience was an extremely positive one. Fittings were relaxed and stress free… Just how I wanted everything about the occasion to be. I collected my dress on a Thursday and flew to New York the next day. I didn’t look at it until the morning of the wedding. It had been so well wrapped that I didn’t need to touch it before slipping it on. Everything I had hoped it would be – fabulous and, on the practical side of things, extremely comfortable. So many people commented on it and asked where I had bought it. 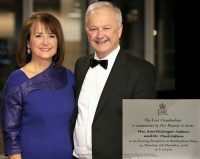 I was delighted and proud to be able to tell them it was by an Irish designer. “Our wedding went great and my dress was beautiful. 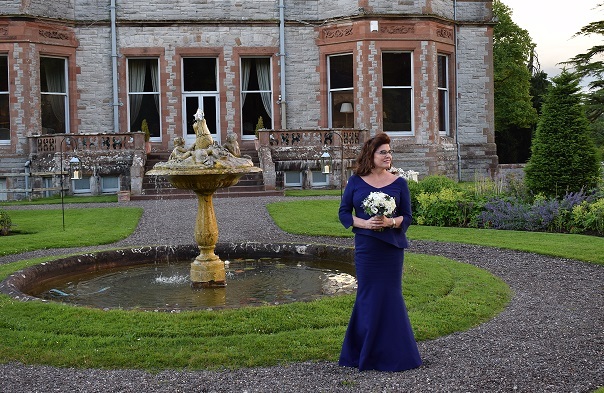 I was absolutely thrilled with my wedding dress, and was so comfortable and happy in it. My mother looked fantastic and was also delighted with her dress. Thanks again for all your help with both our dresses. 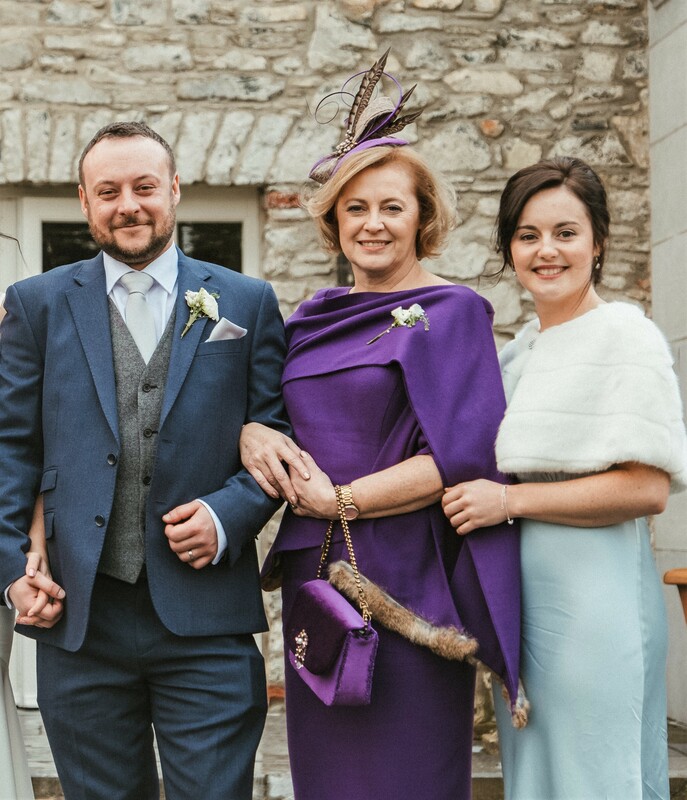 “Maire created a beautiful outfit for my daughter’s wedding in December 2016. Throughout the design process, she listened to my ideas and gave me exactly what I wanted. I was completely at ease and never felt rushed during my appointments. The fit, cut and quality of the outfit was outstanding. I felt very confident and glamorous on the day and received numerous compliments. 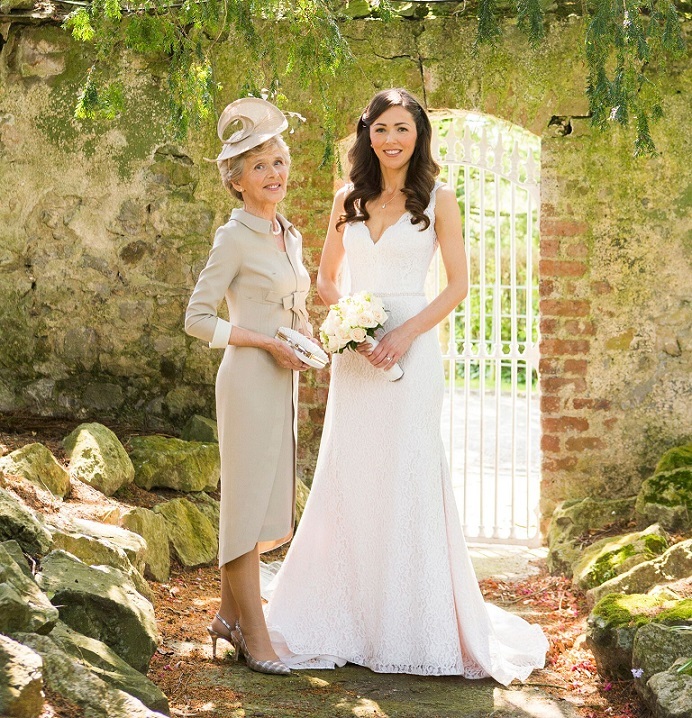 Maire was a delight to work with”. 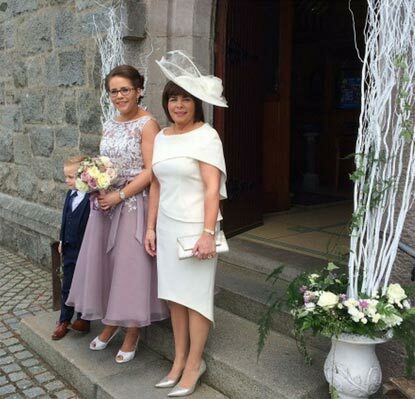 “I absolutely love the outfit you made for me and I got loads of compliments on the day. 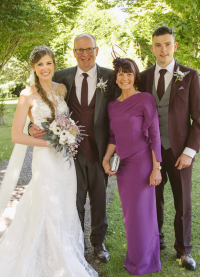 I really appreciated your expertise and attention to detail and I would have no hesitation in recommending you to anyone who wants a beautiful bespoke outfit for a special occasion”. “I had been looking for an outfit for my son’s wedding for a number of months. Then a friend recommended Maire. I phoned Maire for an appointment, and from that momemt on I felt the worry lifting from me. Maire was the essence of both professionalism and kindness. She gently advised me on what would suit my figure and created a bespoke outfit for me. I was very happy with the outfit and felt very confident in it. The outfit is both elegant and contemporary. I know I will get lots of wear from this outfit again, and am thrilled to be wearing an Irish Deisnger. 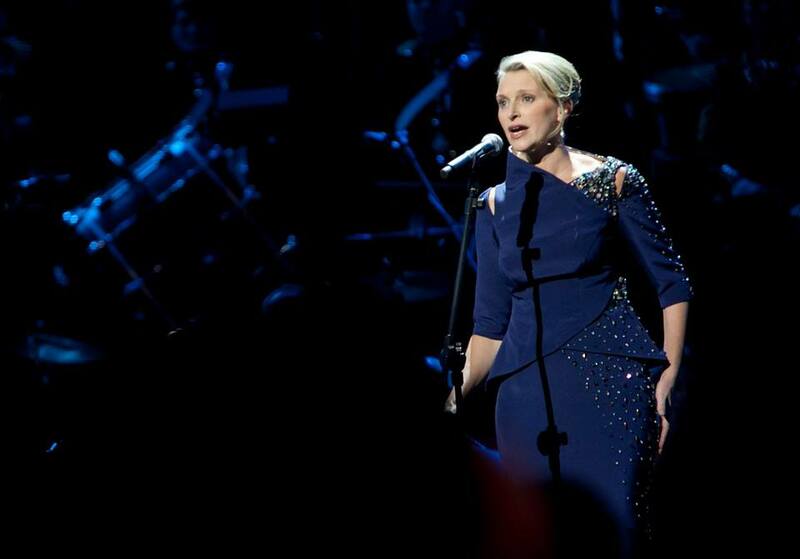 “I came across Marie in the Irish Times Magazine. 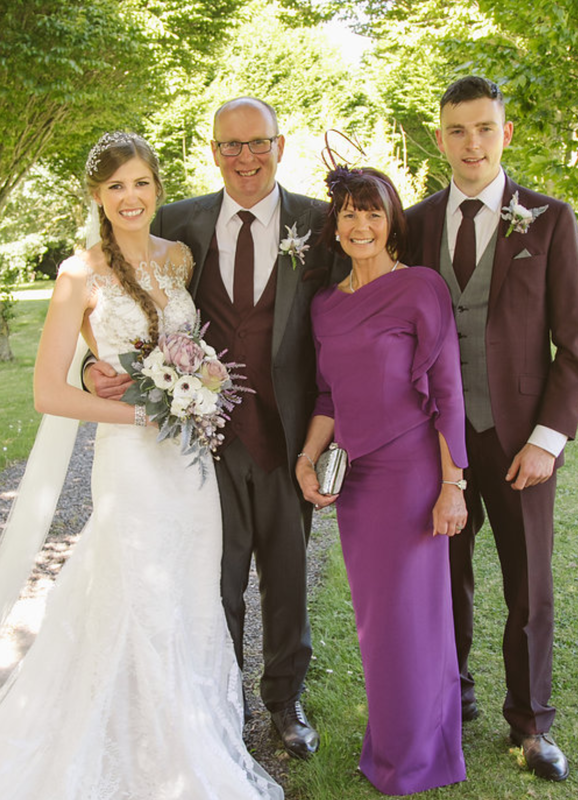 We collaborated on a bespoke outfit for my daughter’s wedding. Marie understood my vision and added the extra touches to achieve such stunning elegance. Beautiful silk fabric, exquisite designs and eye catching colour, completed what I can only describe as a masterpiece. I will definitely revisit Marie again”. “I came to Maire Forkin with limited vision as to what I wanted as Mother of the Groom, but I did not want a dress. She had my style sussed in minutes and today I am the proud owner wool crepe trouser two-piece. Elegant and dashing in french navy and cream. In all it was a very pleasant experience to work with Maire. Many thanks”. “Maire is a fantastic designer with wonderful attention to detail. Maire really listens and you never feel rushed during an appointment. Her honesty is professionalism made my experience enjoyable and I am delighted with the outfit”. “I just wanted to say a huge thank you Maire for the fabulous outfit you made for me for my daughters special day last year. 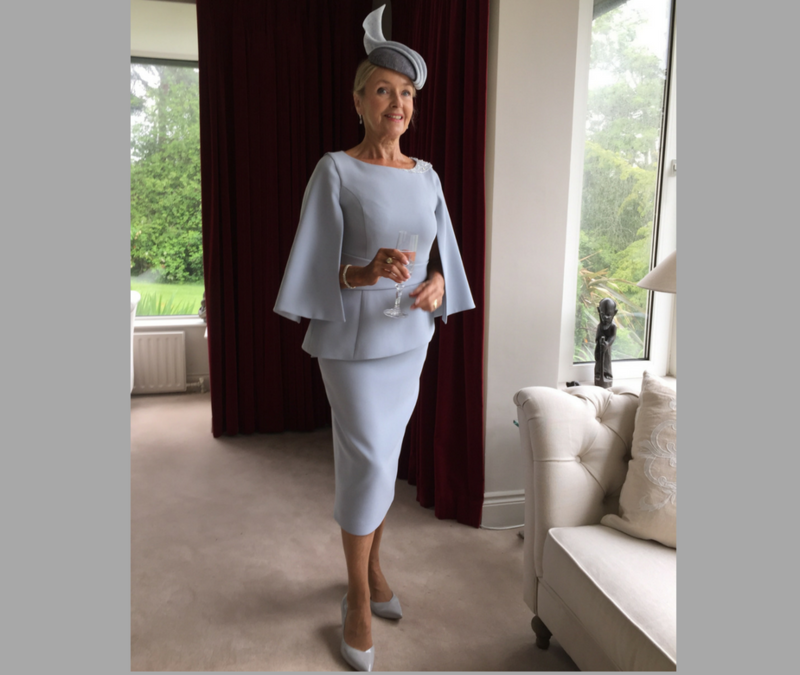 You were a pleasure to work with and I couldn’t have been happier with my outfit from start to finish, the fabric, the cut, the colour, amazing. When I first started shopping for an outfit as mother of the bride, I was disappointed not to find something beautiful and different until I happened upon your fabulous designs. I felt a million dollars on the day. Thanks again and I will hopefully be fortunate enough to wear one of your other designs at some future date”. 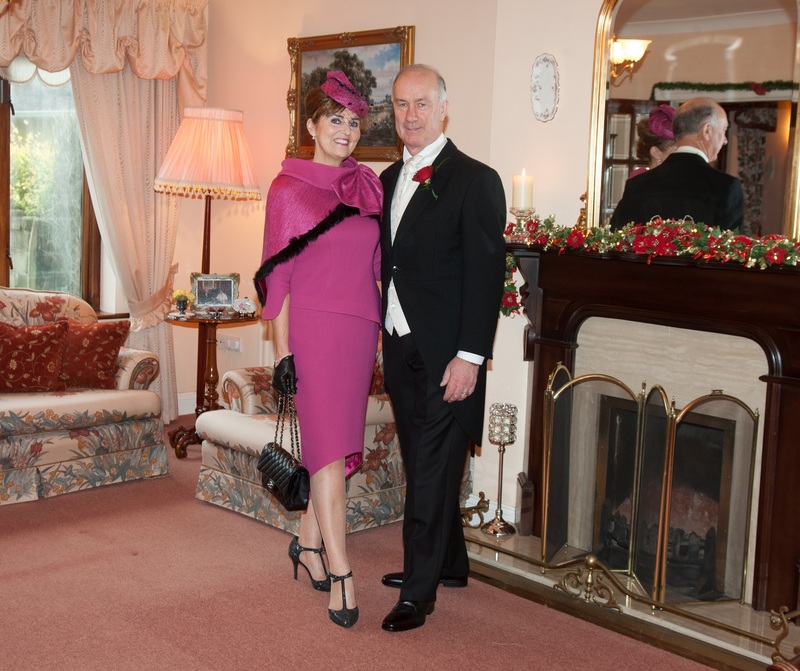 I was referred to Maire by a friend of mine who had an outfit made by her a number of months earlier. Maire spent time with me discussing what would suit me and choosing the fabric and style. I was delighted from the first time I met Maire. She was very understanding and pleasant, but what struck me most of all was how she so easily knew what best flattering on me. I waw so pleased with the design she choose for me. 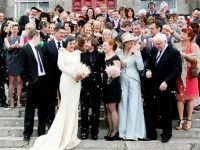 I went to my wedding in Kilarney a short few weeks after I visited Maire and I got so many compliments. Thank you Maire for your hard work. ‘I decided to go to Maire as I wanted something unique & personal to me. 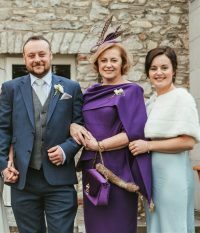 I was at ease & had full trust in Maire from our first meeting – from my vague ideas of what I wanted/didn’t want, she was able to create something for me that was unique, elegant and suited not only the occasion, but perfectly maximised my best points. 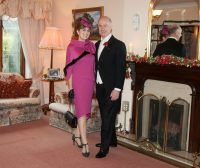 I also gratefully accepted and followed her ideas for accessories for the whole ‘look’ on the day and she had a vision in her head which she was able to articulate and then bring to life. Over several visits to her studio, I knew I was in safe hands and that she would make sure I was 100% happy with the final result – what a contrast things would have been if I had tried to create the look I desired by myself without her experience & expertise. I would recommend her highly if you want a stress-free approach for a unique statement dress or outfit’. “I was advised to visit Maire by a work colleague, whose friend had had an outfit made by her for a daughter’s wedding. Apparently, she was really delighted with the result. I had been looking for an outfit for the wedding myself for some time. I was hoping to get something special and most especially, a good quality outfit that would fit me well, but, I really had not been impressed by anything I had seen. I met with Maire who very quickly understood what I was looking for, and what would suit me. I felf confident early on that I could put my trust in her. 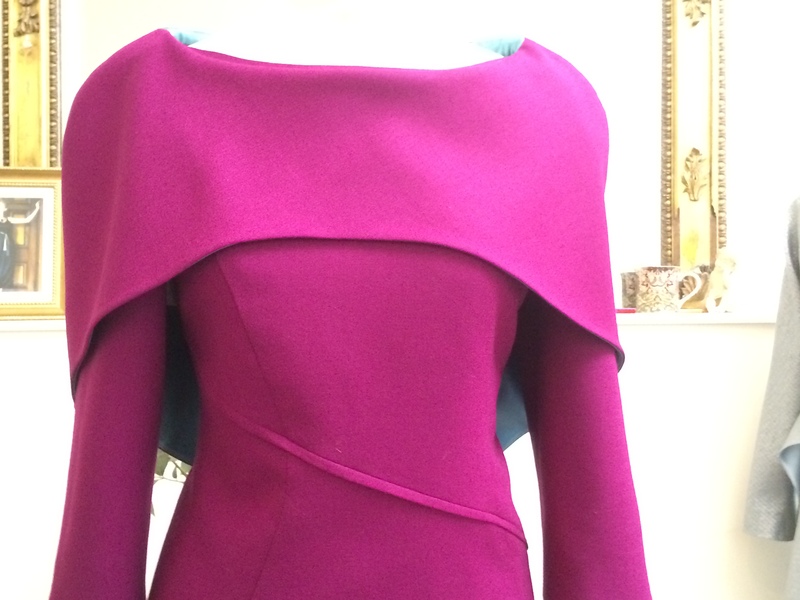 Maire made a dress and over coat for me in a beautiful deep purple, and she also suggested where I could get a complimentary head-peace made. I felt so good wearing the outfit, and I have had so many compliments about it. I was really pleased with the whole experience, and will certainly be back to Maire for an outfit again. Thank you Maire”! 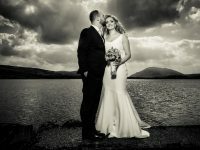 “I arrived in Maire’s studio with pictures from a magazine and a clear visualisation of the style of wedding dress I desired. Instantly, Maire understood my vision and from that first meeting, and throughout the entire process, I always felt that she deeply respected my design and never tried to influence me in another direction. 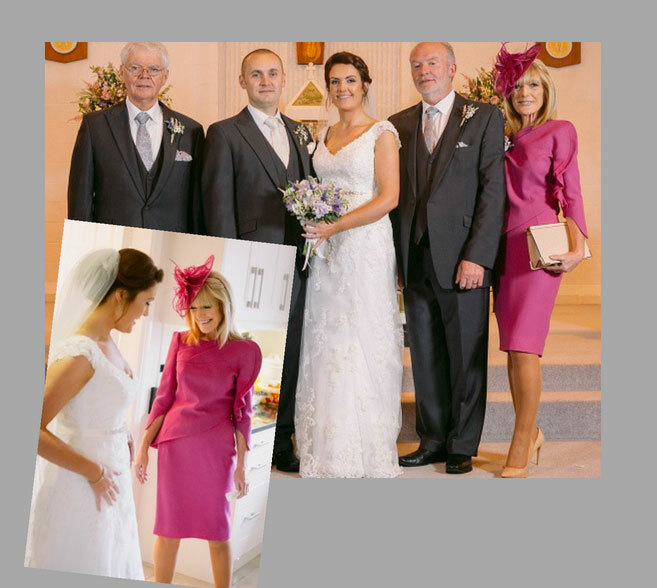 “I have recommended Maire to several friends who saw my outfits at my daughter’s wedding. I will be contacting Maire again without hesitation. I am extremely pleased with the finished outfit. “I was looking for a very stylish but also age appropriate outfit. I was surprised that after my first appointment, Maire could create an outfit to my exact requirements in both style and fit in luxury fabrics. 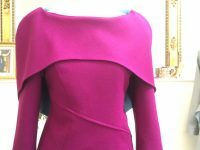 Maire designs for your personal body shape. 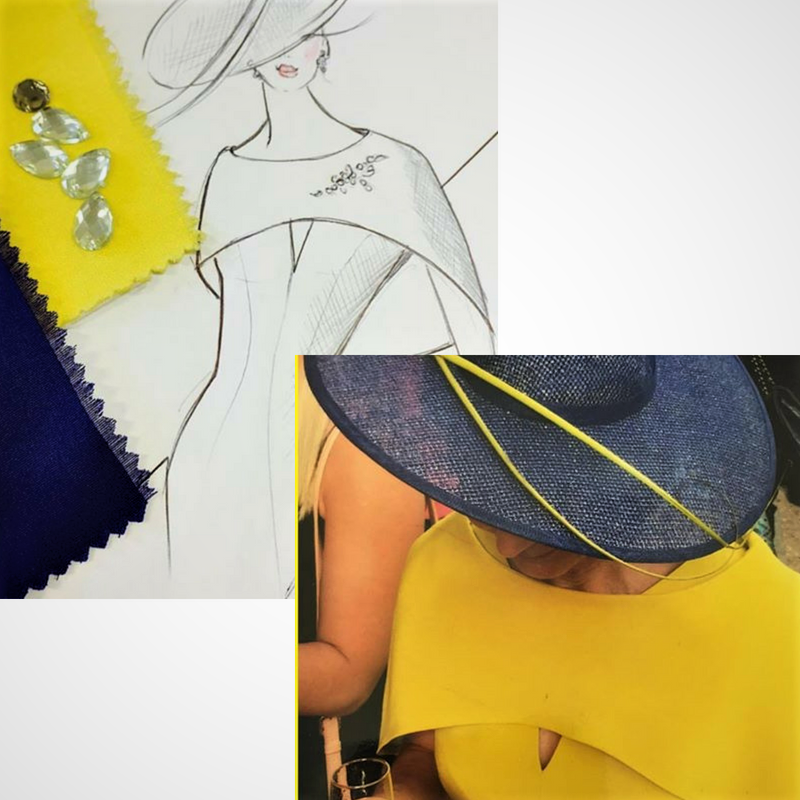 She listens to what her client wants, and the finished outfit is a result of combining ideas with her expertise”.